Hello everyone! I'm posting over at Twine It Up! 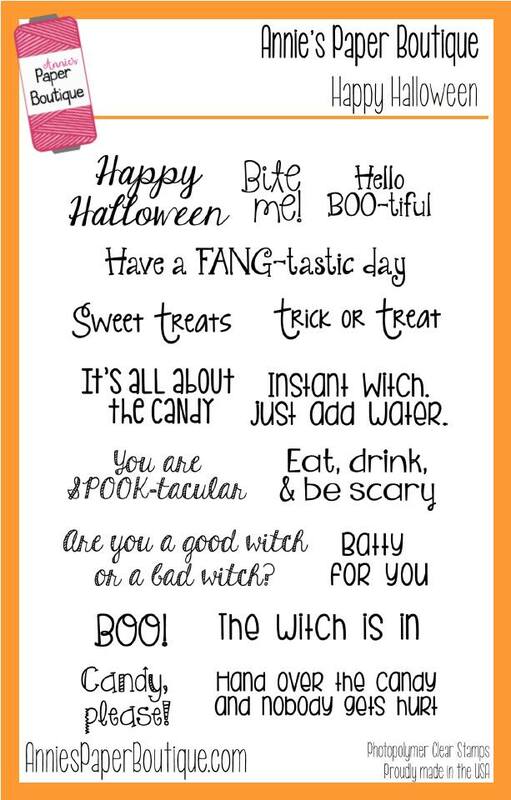 with Trendy Twine and I have a quick Halloween Shaker card to show you today. 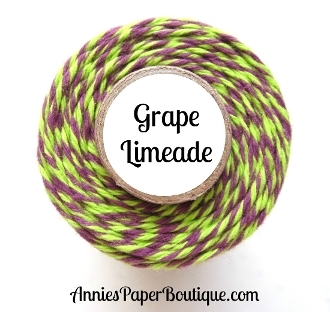 I found some fun chunky glitter at Michael's about a month ago that matched this Grape Limeade Trendy Twine. So I knew I wanted to make a shaker card. The witch circle is from a Cricut cartridge. I just kept cutting it out until it was slightly bigger than the circle die I wanted to use for the shaker window. I also used an edge die to cut off part of the card front. It helps add some color from the background paper. 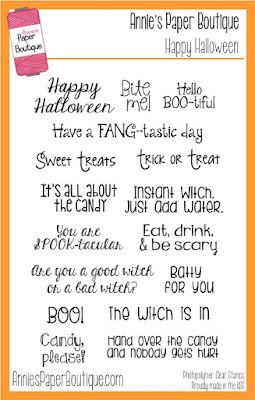 The stamp is from the fabulous Happy Halloween Stamp Set you can buy from the store. I glued down the witch circle and then glued my Grape Limeade Trendy Twine around that and the bottom of my card front. 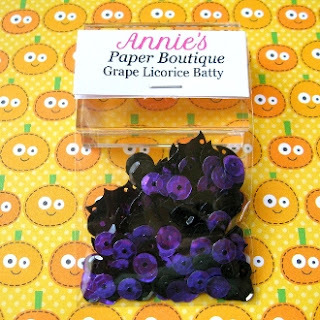 Along with the chunky glitter, I added some Grape Licorice Batty Sequins from the store. I also used those same sequins on the front of the card. Your shaker card is wonderful, Helen! Super cute shaker card and design! That witch silhouette is fun accent too! What a fantastic card Helen, I love the image and the twine looks gorgeous!